This happens in rear-end car collision when the head is violently snapped backward and forward. The muscles, ligaments and other facets joints of the spine can be affected. The severity of injury depends on the speed at the point of impact. Low back pain can occur with other conditions in men and women. Such diseases are scoliosis, kidney infection, endometriosis, infections, pregnancy, etc. Low back problems with the associated problems are preventable and treatable. Manual therapy involves provision of soft tissue massage for tight and unresponsive muscles. It also includes gentle movement manoeuvres with mobilisation techniques for stiff facet joints (spine) and peripheral joints (knees, hip, ankle, foot, and elbow). Biomechanical assessment identifies possible areas of excessive forces on the joints. Our treatment plan put in place considers individual’s lifestyle, activity level, age, and existing medical history. Repetitive Motion Injuries are commonly occurring problems. Examples are Tendinitis and Bursitis. The former is the inflammation of the tendon. Bursitis is the inflammation of the sac-like structures between bones and the tendons where the likelihood of friction is. Tendinitis is a common injury in sports-foot (Achilles tendinitis); knee joint (patella tendinitis); Elbow (tennis elbow), shoulder joints, and the biceps muscles. Bursitis occurs around the elbow, knee, and hip joints due to trauma and repetitive motion. Repetitive Motion Injuries occur in workers involved in repetitive work activities as part of their work routine. For example, factory line workers, computer analysts and users, musicians, painters/decorators, artists, etc. There is an increase in the occurrence of RMI with the increase in the use of social media and mobile technology secondary to texting, instant messaging, etc. 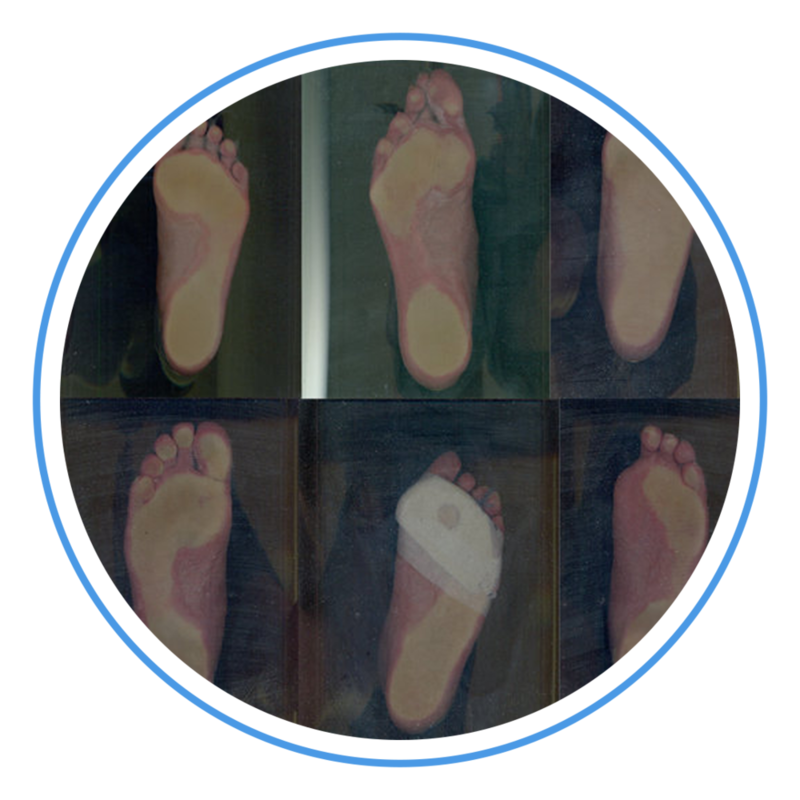 Objectives of gait assessment are to identify possible cause (s) and treat, prevent further deterioration and minimise secondary effects of poor gait, relieve pain, improve function, and promote patient’s safety. 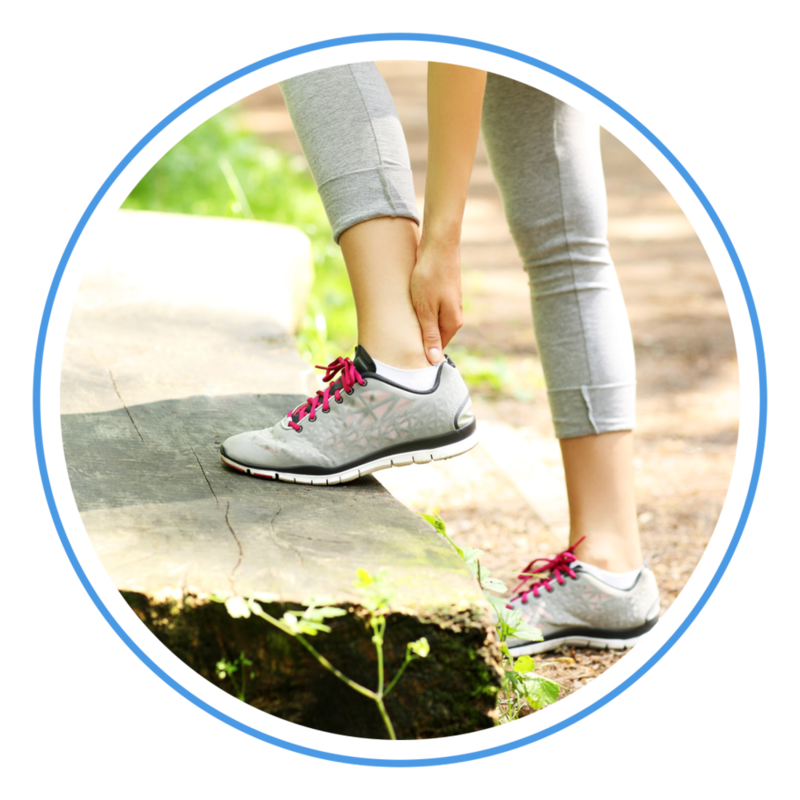 Upper and lower limb joint problems: ankle, knee, hip, shoulder, etc are common soft tissue problems associated with sports injuries, wear and tear, falls, etc. Some intervention includes muscle strengthening exercises, joint mobility programs, injury prevention advice, joint support and stabilization. Paediatric musculoskeletal problems include sprains, strains, and other soft tissue injuries associated with physical activities. There are other conditions specifically associated with children like SUFE, Sever’s disease, Osgood Schlatter diseases, low back pain, Scheuermann’s disease, hypermobility Syndrome, anterior knee pain, juvenile arthritis, scoliosis, etc. These are problems affecting children that requires the expertise of a Specialist Paediatric Chartered Physiotherapist. Taping provides support for injured soft tissues and joints, allowing them time to heal and recover. The use of different types of tape allows the active individual to go back to sports earlier minimising the risk of injury. The term degenerative diseases refer to changes in the spine and joint. With age, the discs in the spine and cartilage in the joints that serve as shock absorbers and buffer between the bones dry out and shrink. This narrows the space between vertebrae and the joints, and bone spurs may develop. In some cases, the bone spurs can pinch a nerve root-causing pain, weakness or numbness. Osteoarthritis is the most common degenerative joint disease affecting the spine and the peripheral joints (hips, knees, etc). Management includes pain reduction, joint protection, maintaining muscle strength and joint range of motion. Inflammatory joint disease like rheumatoid arthritis affects the smallest joints in the hand and feet. Unlike the degenerative wear and tear, it affects the lining (synovial membrane) of the joints, causing painful swelling that can result in bone erosion and joint deformity. Rheumatoid arthritis is an autoimmune systemic disease that can affect other organs/systems in the body. Pre and Post-op care for joints’ replacements (hip, knee, etc), ligaments’ repair (anterior cruciate, medial and lateral collateral, etc), Disc and Back operations, arthroscopies, etc provided to enhance recovery, and improve function. Post-operative care not only relieves pain and discomfort, it also enhances your chances of getting back to work, play, and sports close to your pre-injury level. 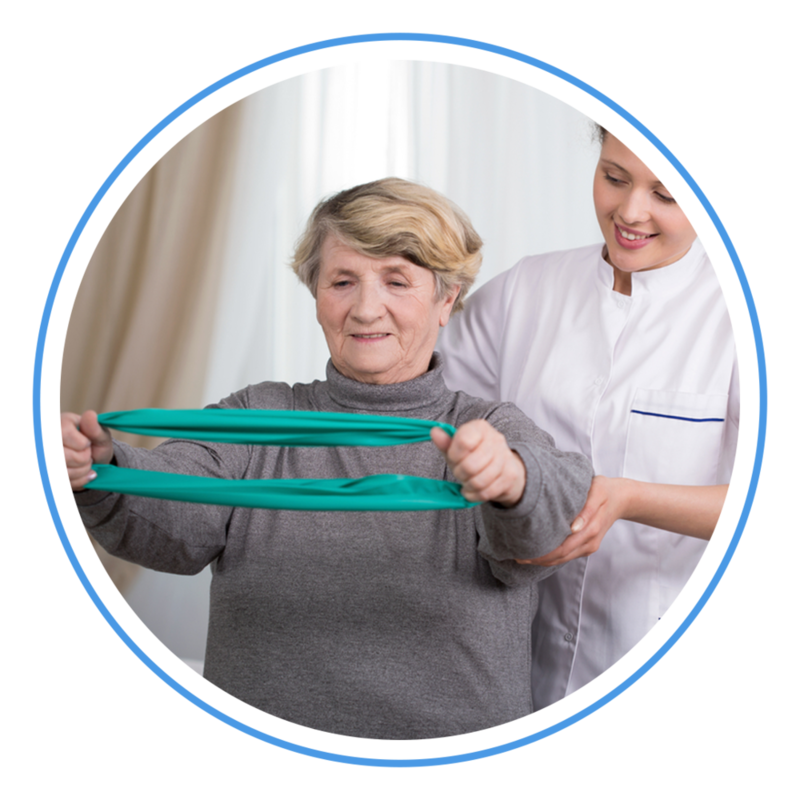 Neurological rehabilitation for conditions like stroke, multiple sclerosis, Parkinson’s disease, age-related conditions helps to restore function and promote independence. There are multiple causes of neck pain. Neck pain may be due to trauma, poor posture, muscular tension, wear and tear due to the ageing process or an old injury, etc. Neck pain can sometimes be localised or referred to the shoulder, elbow, wrist and the fingers if there is any nerve irritation. Ergonomically suitable workplace is a conducive environment with low absenteeism rate, low staff turnover, high productivity, and reduced sick days. Discs are shock absorbers in the spine and frequently damaged over time due to advancing age, old injury, poor posture, and wear and tear. Herniated disc can compress the nerve endings with resulting pain and numbness in one or both legs. Healthy lifestyle, strong spinal muscles, and a good posture prevent back and disc problems. Assessment identifies possible cause(s) with a view to improving patients’ balance and mobility through specific exercises and rehabilitation of the underlying problems. Excessively sensitive feet (with risk of damage using off-the-shelf shoes). These foot deformities may cause pain in the knee, hip, and ankle joints, poor posture, shin splints, back pain, tight muscles, and painful tensor fascia. This is a routine clinical assessment that is a MUST for all diabetics, patients with peripheral vascular diseases, and other patients with compromised foot sensation. Women’s health issues like incontinence, rectus diastases, pregnancy-related back/pelvic/sacro-iliac joint pain, weak abdominal muscles, etc are some conditions seen and treated by Physiotherapists with expertise in women’s health Many of these conditions are annoying and embarrassing for the sufferers to discuss with their healthcare professionals at times. This makes it imperative to not only treat the patient’s condition, but patient’s care is holistic incorporating the emotional and psychological well being of the individual using the necessary modalities, advice and self help tips, and exercises. After every injury, certain amount of deconditioning takes place. Physical conditioning is focusing on returning individuals back to their pre-injury level. For those who have not been active and planning to take on physical activities, it is about advising and teaching them progressive physical training. We provide medical reports for your insurance companies following an episode of care. We provide supporting services-Occupational Therapy Services, Speech and Language Therapy, Etc through other members of the Multidisciplinary Team.